where buildings used to stand. where factories made my world. cannot be remembered or built upon. there is only dust and wind. in its struggle to free itself from nothing. where the voices of children could be heard. even the ghosts don’t linger here. but the same silence can drive a person mad. 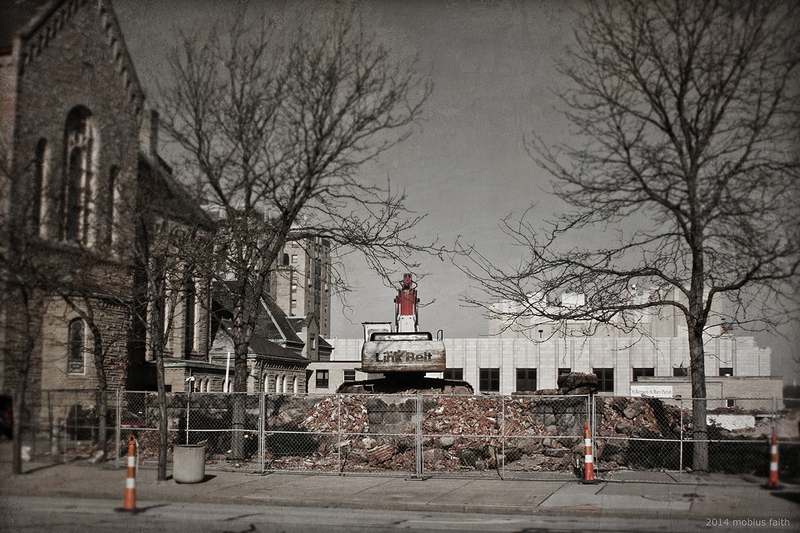 *note – the photo in this post features what used to be St. Bernard’s School. A wonderful stone and brick structure that was originally build in 1887 and was one of the oldest buildings in Akron. Demolition began on 3/28/14. Another hole has been made.